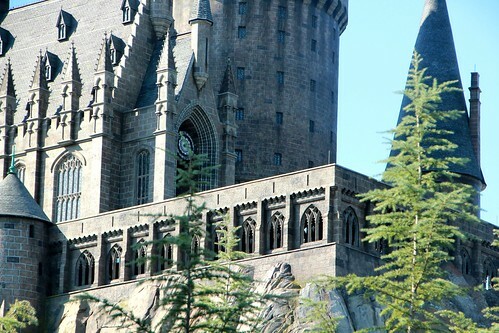 The Wizarding World of Harry Potter in Universal Studios was so cool, I loved it! 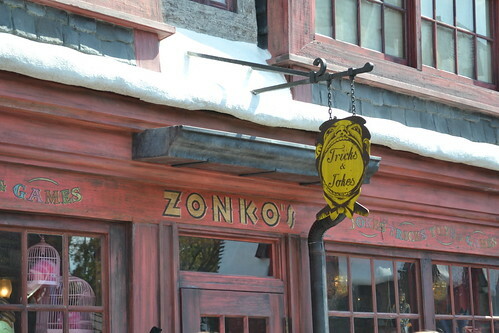 They had the candy shop and the joke shop from the movies and books. They even had Olivanders wand store! 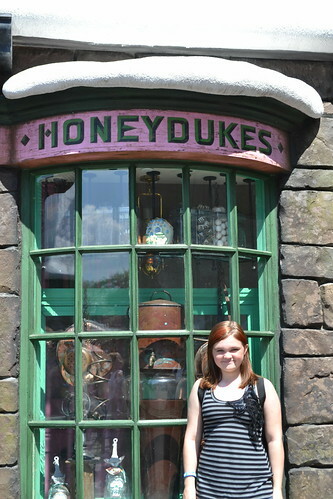 I didn’t get anything from the joke shop but I did get a Chocolate Frog from the candy store. The main ride was amazing. It was the best simulator ride that I have ever been on. One of the reasons why is because it is not just a screen all the time, there are parts where you go into rooms and they have objects jump out to make the ride more real. It is the best ride for the family of all ages I think, if the kids are not afraid of the dark. It is also a good ride for grandparents even if they have bad backs or neck problems where they can’t be jerked a lot because it is so smooth they will not have any problems, my Nana rode it. The ride was so cool it makes you feel like you are riding on a broom and as you are going through it has clips from all the movies so far. Looks really cool and sounds like a lot of fun! I’m hoping we can hit Disney next year. Definitely want to hit the Harry Potter area. Great recap! I loved that ride as well and your photos too! Though one of my twins (7) was scared while the other loved it. Thanks so much for sharing your pictures and thoughts! I would love to bring my daughter their someday- looks awesome! Shannon recently posted..Share your Design Challenge &amp Enter to Win an iPad2! wow! I like to go there and that simulator ride too someday..It must really be amazing!! I will make sure to bring a cam and share it with you guys..
t was the best simulator ride that I have ever been on. One of the reasons why is because it is not just a screen all the time, there are parts where you go into rooms and they have objects jump out to make the ride more real. Since harry potter was started to exposed as a movie, I’m became a big fan of it. As I was browsing your post, I just can’t help but sigh, if only we are living near your place then definitely I would be going most often at Universal Studio, but I am away from a tropical country in a 16 hours airplane ride, I’ll be contented looking at your picture only. I love your picture blog, please do place some more on your next issue. Nice blog. really love those image. ow such a nice place i wish i can have a vacation with my family.thanks for the post. 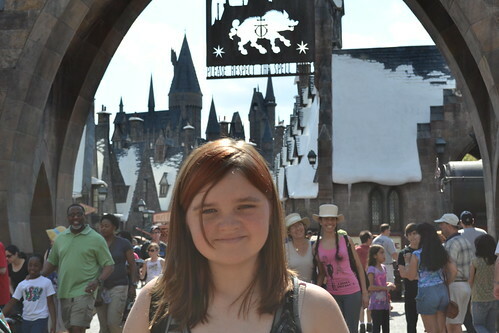 I’m glad to see that you had some great experience at universal studio. Seeing your photos I can’t wait to pay a visit there. Thanks for the post. Loved that.